Today was the first time I was able to squeeze a few more hours of sleep in, and it was critically needed. My stomach was still feeling a bit upset, but it was slowly becoming more manageable. I rolled out of bed around 7am and took advantage of the free breakfast. I still had 4 hours till checkout, so I took this opportunity to relax by the pool in the early morning sun at a balmy 35 degrees. 12pm unfortunately came faster then expected, so I said farewell to a great hotel…next would be the much anticipated cruise. I met with the operator I booked the boat with (Memphis Tours), and we drove to a dock home to dozens of sitting unused boats. As we made our way through Aswan, it was sad seeing the countless number of boats not making this trip. Once a thriving market, the ghostly relics felt quite symbolic to the current state of the Egyptian tourism industry. I boarded the boat and was escorted to my room on the second floor. For a 5 star boat ran by a reputable company like Movenpick, I was a bit shocked how dingy the cabin felt. Don’t get me wrong, it was nice, but not 5 star nice. Maybe my feelings were still simmering on the fact that my internet was not included in the package price. I headed down for the scheduled lunch buffet, which surprisingly was quite scrumptious. As I gorged on my food, I was offered a glass of pure guava juice. I accepted and enjoyed it immensely. The server came back and asked if I wanted more….sure why not! It was at this point something didn’t add up as the waiter handed me a slip to sign. Little did I know, each drink was 20LE…ugh. At 1pm, our group of 12 met at the lobby for a quick briefing and introduction, and then shuttled off for the excursions of the day. First was the quarry mine within the city of Aswan where the Egyptians mined granite for many of their temples and statues down river. I took one picture total I think. Next, 10 minutes away, was the High Dam, second largest dam in the world, creating the largest man made lake in the world…Nasser Lake. Again, cool, but throughout this trip, the bar had been raised high, and as a result, the first two sites were falling short . Bring on Philae Temple. After another 10-minute shuttle, we arrived to Philae’s dock where a boat shuttled us to an island the temple was home to. It was quite impressive, but what was more impressive was the fact that the entire thing needed to be moved to higher ground due to the new dam flooding the old location. The cost associated with this and the other temples was mind-boggling! I enjoyed the temple, but the detailed explanation on each wall script got tiresome, and I started to lose my focus. All the temples looked amazing once the sun started to set. Our boat shuttle back to the van, a nubian man trying to sell crap! Last on the tour was a stop at a pure essence/oils store. This was an odd stop as the entire thing was built around selling concentrated perfume additives. At one point, it even included each man and women being separated into two different rooms followed by being asked to remove our shirts. Using the aromatherapy oils, each one of us was massaged for 5 minutes…second time in my life I’ve been massaged by a man haha. It was all too bizarre for me, but who was I to say something, it felt damn good. The sales pitch went on, and I had enough. I headed to the bus to chill while waiting for everyone else to return. Low and behold, 20 minutes later, majority returned with bags in their hands. I guess it was no coincidence the sellers were looking pretty posh, designer cloths and all. We headed back to our boat to enjoy a dinner buffet with me at my single table in the corner, not awkward at all;) Tomorrow we sailed off to Kom Ombo. I was able to get up just in time to see us disembark from the moorings. Once the cruising was initiated, everything just felt better. The scenic landscapes along the Nile were amazing, and traveling by river made more sense then ever before. Enjoying a cup of coffee on the top balcony with only the wind breeze in the ears, donkeys honking in the distance, and birds calling out, only added to the surreal zen like atmosphere. I sat back and simultaneously watched the desert meet the oasis banks drift by. Such a tranquil feeling on the Nile! Our first tour today was Kom Ombo, another 100-50BC era temple. Temples during this period were known for Egyptians slowly losing their faith in their old Gods, and slowly turning to Christianity (Coptic). It was interesting seeing the erased Egyptian Gods carvings on the walls, many being replaced with a Coptic cross. The stop was a few hours, just long enough to learn what we needed. Our boat was only a few steps away, so swinging back for lunch with a 10 minute side tour of the mummified alligator exhibit was quite effortless. After an enjoyable few hours on the top terrace lounging in the sun and swimming in the pool, the next temple was Edfu, temple of Horus, built in the 230-ish BC era. We accessed the temple by horse and carriage, which I exceedingly enjoyed. With myself in the front seat, and an American couple I befriended on the boat in the back seat, we flew through a very traditional village while locals gawked at what I could only image appeared to be a circus coming through to them. The temple was huge, and in great condition from a result of being buried under sand for centuries. The 42-degree heat outside made things a bit sticky and sluggish, resulting in shade coming at a premium. After 2 hours, we returned back by horse and buggy to our boat, continuing down the Nile to Esna. Teatime awaited us, followed by some more relaxing on the top terrace before dinner. Tomorrow was Luxor! Our very much enjoyed carriage ride, me in the front with nothing to hold onto. My American friends in the back. The boat was already cruising by the time I awoke at 6:30am. Today was going to be a long day, visiting both the east and west bank. Like usual after breakfast, I took my coffee to the top terrace to enjoy the amazing Nile views. Luxor was in view, as were the 80+ cruise boats parked along the east bank, 90% not being used. 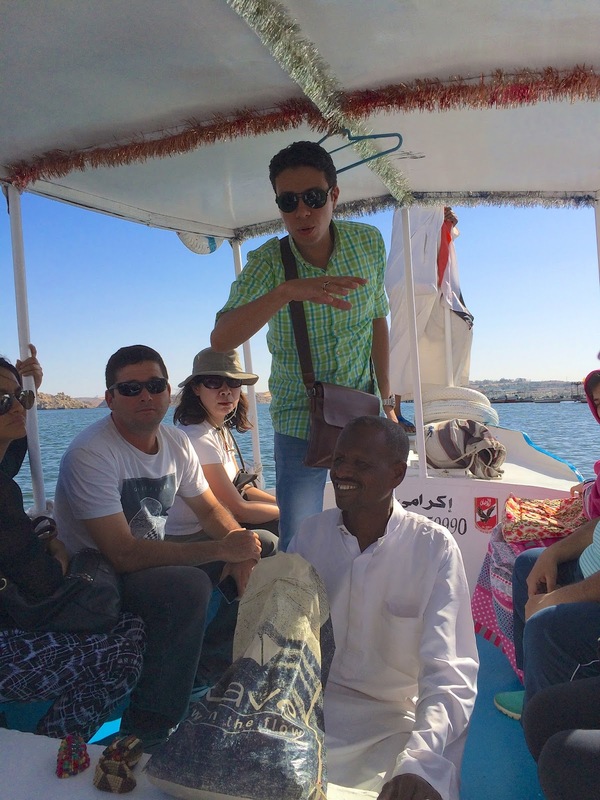 Our group met up and shuttled across the Nile to the west bank by small boat. After a 10 minute bus ride, we were smack dab in the mountain valley about to see the famous "Valley of the Kings". Only 8:30am, it was already 40 degrees!! A trolly then took us up the gravel valley floor to where most tombs were located. Photography was strictly forbidden and highly enforced. Not even 10 minutes in, I saw 4-5 tourists get caught…not to say though that the gate entrance workers weren't trying to bribe a few to take pictures under the table so to speak. 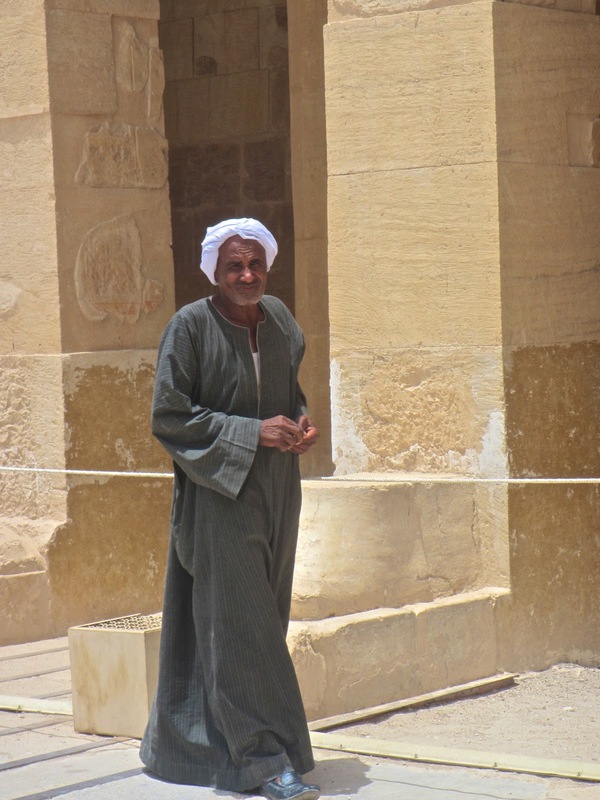 With our 3 tomb access punch card, we were recommended to see tomb #57: Horemheb (18th dynasty), King Ramses #8 (19th dynasty), and King Ramses #4 (20th dynasty). King Tut was an extra 100LE, and Ramses #6 was an extra 50LE. I decided to decline both, seeing I was getting a bit templed/tombed out. By far out of the three, Ramses #6 was the most impressive with all the colours still in tack. It was also the worst for having aggressive staff members trying to bribe tips for pictures inside. The tombs were impressive, but reading Trip Advisor posts in the past 6+ months, I couldn't understand how some needed weeks to see these. We were all done within 45 minutes, and sacrificed ourselves back into the blazing 45 degree sun, painfully making our way back to the trolly. King Ramses #4 tomb, it was a rushed pano photo, so low quality! Next on the schedule was witnessing a temple built for one of the most powerful women ever in the history of mankind, Hatshepsut, or as the Asian tourists in our group called her…Hot chicken soup. This queen ruled Egypt for 22 years, and was the only female to do so under special circumstances. The temple was impressive, but the heat and lack of shade and breeze made it tough to last longer then 20 minutes. LOCAL: Hello, where you from?" LOCAL: "aaaaahhh, Canada Dry, very good"
On our way back through the lush Nile Valley to our boat, we had 2 stops left. First was the Artisan Shop, a place where they explained how authentic tourist gifts were made, and how to spot a fake. It was mildly interesting, but naturally it was all based around making a sale in the end. Only a few bought, and we were on our way. Next was a quick pit spot at 2 large statues which were destroyed from the famous earthquake centuries ago, then rebuilt recently. We were literally there for 5 mines, and I don't even remember who the status were of, I'm going to guess Ramses the second? A quick lunch followed by a 15 minute nap. Next was the east bank, normally completed the following day, but due to many guests leaving early, we all agreed to lump both in the same day…something I was not overly fond of. 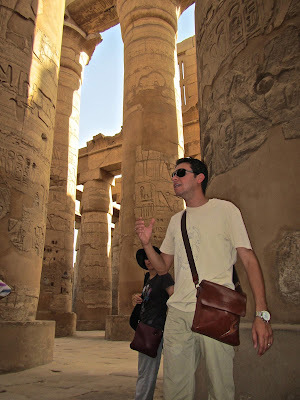 The Karnak Temple was the first stop (built around 1500-ish BC). I was shocked at how large it was! 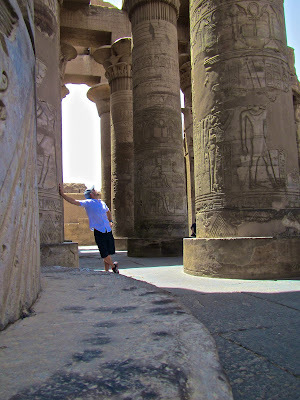 It was too big to walk the entire thing, with mammoth sized pillars dotting the grounds galore! The place was impressive, something I was not expecting in the middle of Luxor. 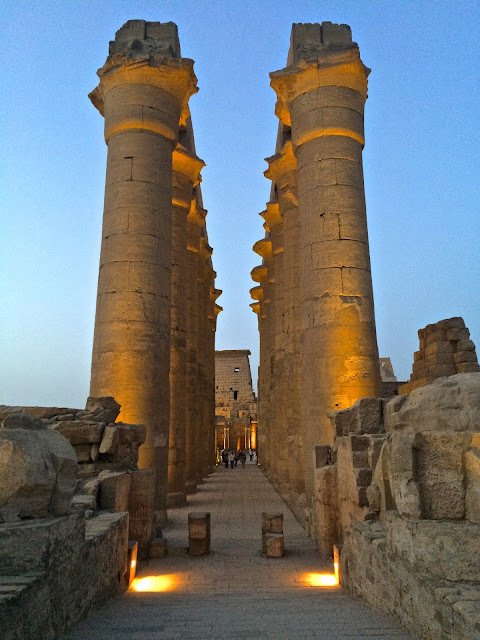 Two large obelisks, the sacred pool, rows of Ram status, and 100's of huge pillars, were all noteworthy highlights, and trying to fathom how the place was built was hard to wrap the mind around. 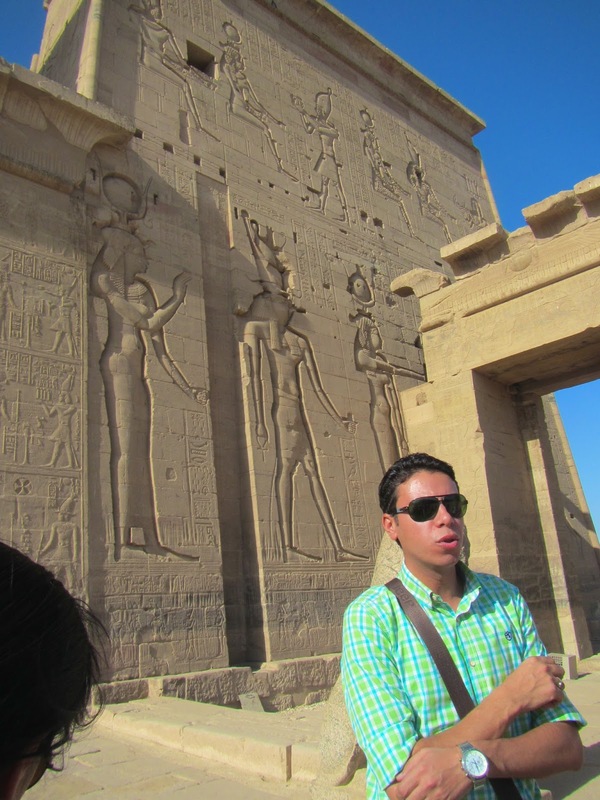 Next was Luxor Temple (also built around the 1500 BC era), and another very impressive temple right in the middle of the city. Here, the highlights were the many colossal granite Ramses status throughout the complex, the mix between Roman and Egyptian beliefs / architecture, and the mosque that was built on top many centuries ago which is still being used. It was all very mesmerizing, but only got better once the sun went down. This allowed for better captured photos, a recommendation for anyone planing a visit here. We also took this time to take a group photo, and prepared to say our farewells to our guide who would be leaving right after. Our group, all really good friendly people from around the world! We headed back to the boat exhausted, cleaned up, and enjoyed another tasty dinner. Evening entertainment included a belly dancer and a spinning man (not sure how to better explain it haha). I took this time to enjoy a beer I bought before boarding the boat. Once 10pm rolled around, I passed out for one of my better sleeps on the entire trip. I guess the relentless sun compounded by completing both east and west bank in one day will do that to ya! 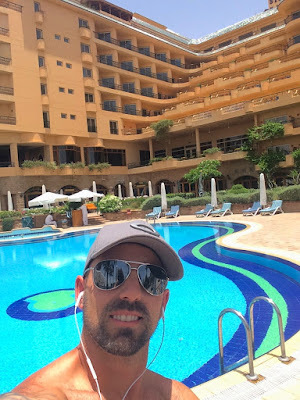 After a quick shower, light breakfast buffet, and an uneventful checkout, I was off to the Steigenberger Nile Palace (only a few minutes away) for two nights. 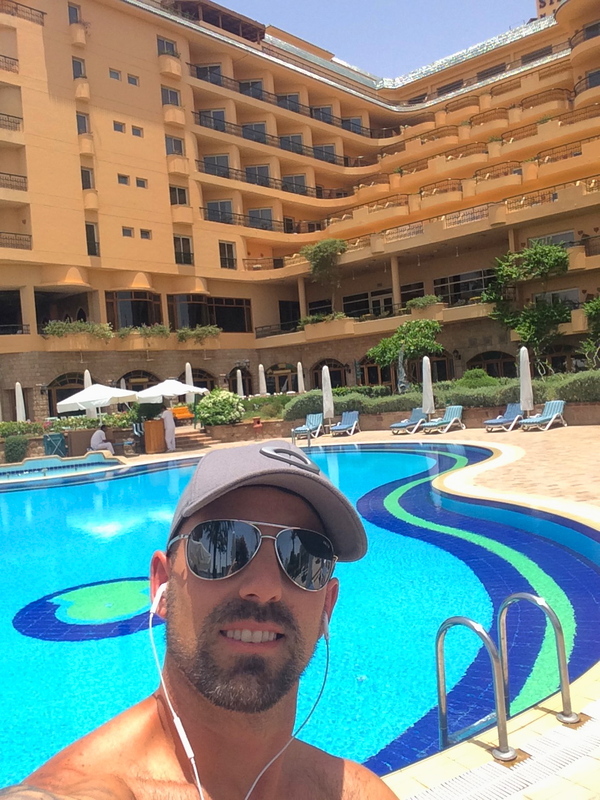 It was a beautiful 5 star hotel on the Nile River in Luxor, and I decided to take this time to relax at the pool. I needed to contemplate what my plans were tomorrow other then the 4am hot air balloon ride already booked. The question I kept asking myself over and over…. "Do I want to see more temples and tombs"?? In the end, the answer was no. 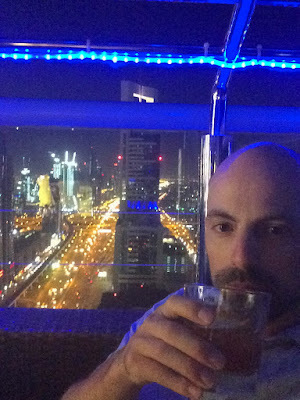 After paying for my balloon ride in the lobby, and regretfully upgrading my wifi connection for 60LE, I took this opportunity to have a quick nap before venturing out into the city to see what trouble I could get myself into. Pretty damn good burger, and the fries were amazing, a swear they were from McD's! 8pm rolled around, and I was beginning to get hungry, so I hit the streets and alleys in search for some local street food…hoping this time not to get sick. 5km into my walk, I was already regretting not swapping my sandals for runners. One thing I did finally find were the famous aggressive Luxor sellers. I had one carriage handler follow me for 20 minutes methodically trying to squeeze any possible dime from my pocket. I wish there was some way to tell them they were doing more harm then good to their industry, but I guess it just takes one tourists to break down and pay off the effort. Around 10km into my walk, I reached the market via the scenic way, and walked around looking for a vendor with food that would not make me sick. I was a bit gun shy at this point from last weeks experience, so being picky was the theme of the night. 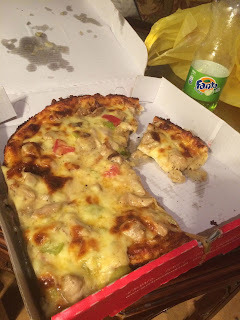 I found a pizza joint called Quick Pizza and ordered a medium for 35LE. I walked through a few dark alleys to shorten my return route, not once being worried about my safety. I munched on a few pieces while enjoying a green apple fanta, then crashed early to facilitate my 3:30am walk up. It was way too early to grasp onto any rational thought as I walked through the dark hallways in a zombie like state. My pickup was scheduled for 3:45…it was 3:44. As history had dictated, the operator would arrive in 1 minute, and without being surprised, the van pulled up at exactly 3:45. I don't even know how they do it seeing they had two pickups before me. 3 hotel stops later, we finally had a full van…off to the boat to shuttle across the river to the west bank. Once on the other side, it was a quick 5 minute shuttle to the balloon grounds. The scene could only be described as an enthusiastic frenzy of activity, 7-9 balloons all being flared up, each capable of holding at least 20 people. Technical crews ran around doing what they could, all while each group was briefed on loading and landing procedures. The entire process seemed professional, and not once did I question my safety during the entire experience. Almost without warning, we were instructed to jump in. We had a 70 year old in our basket, and she was literally picked up by two men like a cradle and thrown in. It was quite comical. Off we went! 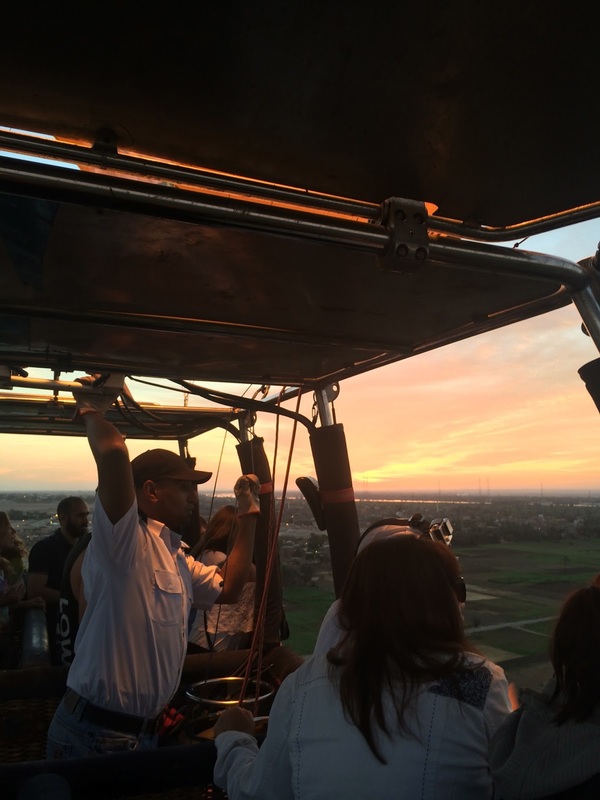 For my first time ever in a hot air balloon, I was happy to accomplish it in Luxor. For only $40US, the experience was more then worth it, even if it was for only 35-40 minutes. There were several guests in our boat complaining the ride was too short. It was embarrassing and sad how the Argentineans talked to the captain. I agreed on a few of their points, wishing we dipped down a bit to view the Nile up close like the others were observed, but in the end, I was happy with the entire experience and complaining was just plain tacky! We had a double touch down, landing in a sandy field with zero incident. Locals from the area came to greet us, as did the technical crew to break down the balloon. By 8am, I was already back in bed wide awake. Ah heck, I mind as well go get breakfast lol. 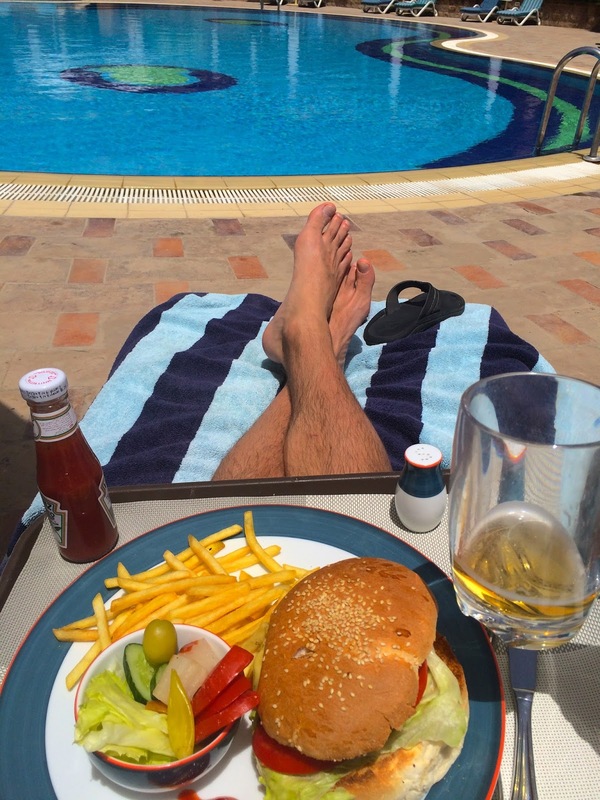 I was feeling quite lazy by 10am, and with the windy conditions, I decided to just lay low and chill around the pool. I ended up getting too much sun and needed to retreat back to my room where I could finally get my 1hr nap. By 6pm, I wasted most of the day bumming around, but I knew I had an early morning start with two flights with Egypt Air to Dubai. I headed down to the cafe for a quick cappuccino and called it a night. 4am forced me out of my cocoon like solitude. I gathered my boxed breakfast prepared by the front staff (which I ended up leaving for the cab driver), and met my taxi driver I found on the street the night before for 50LE. I had to wait a few minutes due to scheduling the pick-up time right on their prayer time, but it was of little concern. We made it to the airport in record time, and after dealing with the expected disagreement on the agreed taxi price, I gave him an extra 5LE and walked away. I met a nice art history professor from Amsterdam in the airport, full of stories, and coincidentally, was also assigned a seat beside me. 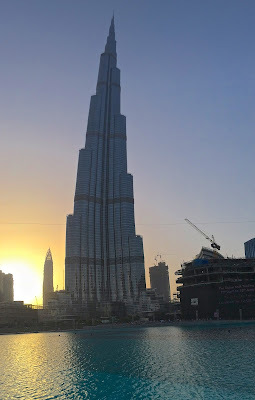 I arrived in Dubai at 2pm, and after a smooth transition to the metro, and a quick check in to my 47th floor room in the 65 floor hotel "Rotana Rose Rayhaan", I ignored my growing fatigue and trekked my way to the Burj Khalifa (unfortunately not taking the direct way, getting stuck around a major freeway). The worlds largest tower was literally too big to capture in a standard picture. Being surrounded by a huge fountain and massive mall, the area was bustling with energy. 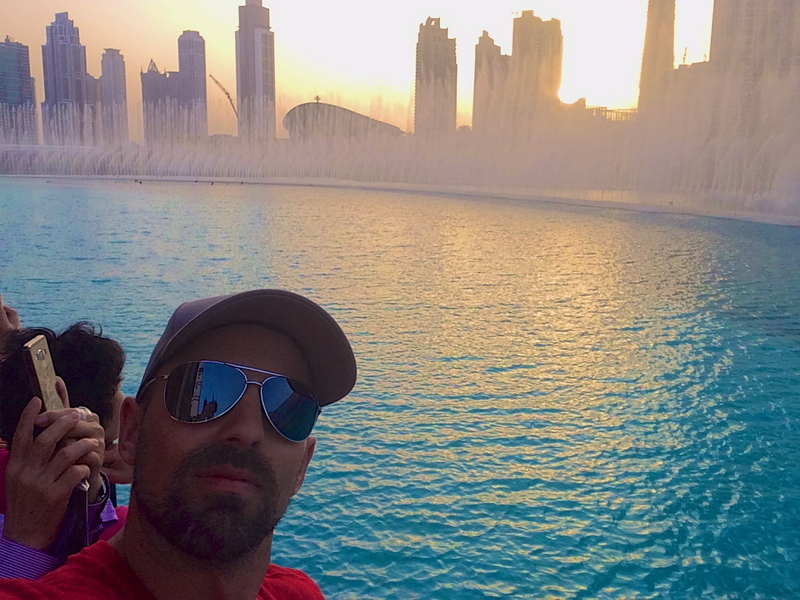 I enjoyed a quick fountain show right before sundown before heading into the Dubai mall (one of the largest in the world). The artistic wall fountains, large aquarium, lavish stores, were just some of the well known sites I saw. I also enjoyed some frozen yogurt…only $10 lol, something I found I would need to get used to here. Also, saw one of many Tim Hortons, with the one in the mall in prime location, who knew?! TIMS! Premium location, and busy, felt very odd!! I headed back outside to witness the Burj Khalifa beautifully lit up, sparkling sporadically with all it's luminescent lights dancing about. I watched 2 fountain shows in a packed house full of tourists, and decided my day was complete. My room was wonderful, complete with a kitchen and ocean view (I really hoped for a tower view). What was more wondrous, was my pillow! I have finally found the pillow for me, and I will be sure to ask the staff where I can find one haha. Update: They had no clue. With the 2 hour time difference from Egypt, I was wide awake at 7am, pretty much the standard on this holiday! I learned to save a bit of money by buying all my food at grocery markets located in the back of the many towers. I had a quick banana and yogurt, fuelling me off to the metro again to experience the marina district. 25 minutes later, I arrived and enjoyed the tallest tower block and lavishly equipped yahts lining the marina. It was hot and seemingly more humid then Egypt, so I was perspiring a bit more then usual. The beach was calling my name, but trying to find an entrance point was an issue on its own. After several failed attempts with security guards turning me around, I finally was able to slip by one (was distracted on his phone) allowing me to enjoy the cool ocean breeze and coolish-ish waters. After taking in the sites, I was hungry, and saw all I needed. Back to the metro! 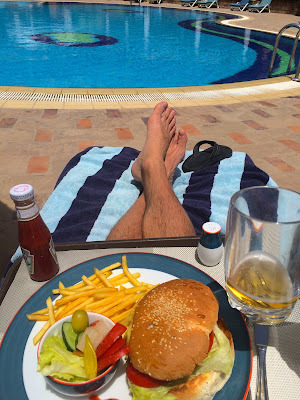 After spending 3 hours at the hotels congested pool and meeting a nice couple from the United Kingdom, I prepared myself for a long walk I had earlier contemplated. I was getting antsy, so once again, I committed myself to the metro again, this time to the Burj al Arab. The problem…it was a few km from the metro platform. Called tallest tower block, and you can see why! I shaved off some time by jogging the first km, but the heat didn't help, so I continued in an aggressive walk. Good thing too, as security around the Burj al Arab was intense, and the only view point accessible was the public beach…Kite Beach. It was at this point I was finally able to slow myself down. I stayed for almost 2 hours, taking time to smell the ocean breeze, watch the sun disappear, and enjoy a hand made ice cream bar with my chosen toppings. I knew I would not see the ocean for months, so I really tried to take this time to relax. Once the sun was down, I took some residential roads back to the metro, taking the opportunity to count how many Range Rovers there were per block…lets just say it was a lot! At this moment, I was trying to appreciate the ocean smell and feel, I knew I would not see it for 6+ months. Old Fashion, but a bit watered down compared to home. I enjoyed a long sleep, knowing my trip was pretty much done. With a late wake up, and a brief time at the pool, I had one last goal for Dubai, to see the old town with all its souks. I checked out at 2pm, left my luggage, and once again, was off via the metro. I was aggressively led into the spice souk first. After being to several countries known for spices, Dubai was a let down in this department. The same went for the gold souk. Many of the stores were underwhelming, while simultaneously being overshadowed by the relentless wave of scammers trying to sell fake watches and shirts. I curiosity got the cat, and I wanted to know how good these fakes were, so I bit and went to have a look in a back store. The fakes were well hidden, stashed in a secret upstairs. Starting at $400US, the fake Breitlings were horrible, but the Rolex's were slightly better, but still easily recognizable as fakes. 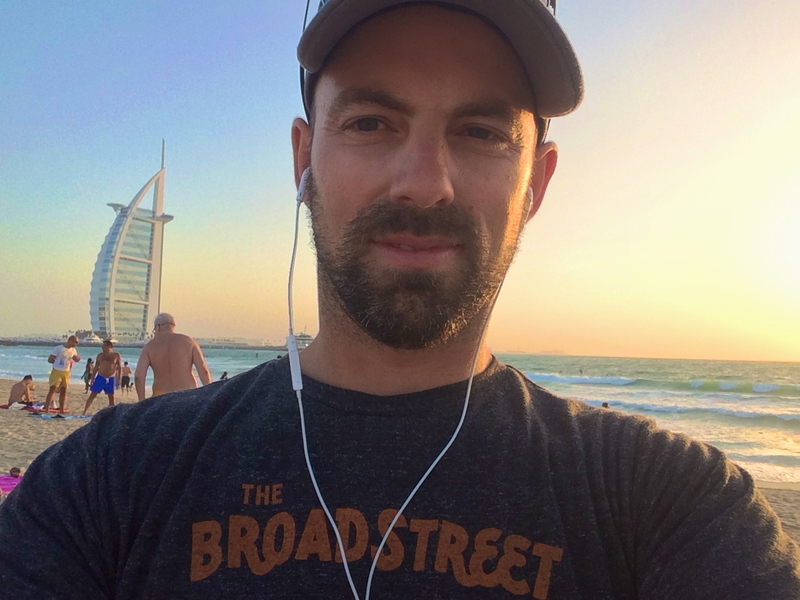 They eventually dropped to $100US, which I still didn't entertain, and decided my time in Dubai was at an end. Only a 13 hour flight direct to Toronto, followed by 3.5 hours to Calgary, I had mixed feelings of going home. My trip was done, and the experiences learned were priceless.